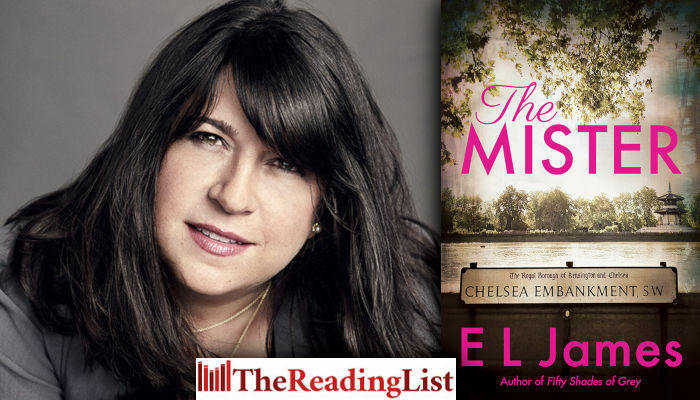 New EL James novel The Mister coming in April 2019! EL James is to publish her first new novel following the blockbuster global phenomenon and no. 1 worldwide bestselling series Fifty Shades of Grey. The Fifty Shades of Grey series broke sales records for contemporary adult publishing (150 million copies sold worldwide). James’s new novel, The Mister, which will be published on 16 April 2019. Susan Sandon, Managing Director of Cornerstone, has acquired UK and Commonwealth Rights, (excluding Canada) in a deal struck with Valerie Hoskins of Valerie Hoskins Associates in London. Arrow Books, the Penguin Random House imprint that launched the Fifty Shades of Grey trilogy in 2012, will publish EL James’s new novel in paperback and ebook formats, with simultaneous publication from Penguin Random House Audio. The Mister is a contemporary romance set in London, Cornwall and Eastern Europe that introduces readers to the privileged and aristocratic young Englishman Maxim Trevelyan and the mysterious, talented and beautiful Alessia Demachi, who’s recently arrived in London owning little more than a dangerous and troublesome past. With one of the largest fan followings in publishing, James has been recognised as one of Time magazine’s ‘Most Influential People in the World’ and Publishers Weekly’s ‘Person of the Year’. Fifty Shades Freed won the Goodreads Choice Award (2012), and Fifty Shades of Grey was selected as one of the 100 Great Reads, as voted by readers, in PBS’s The Great American Read (2018). In the UK, Fifty Shades of Grey won both Popular Fiction and Book of the Year categories at the National Book Awards in 2012. The Fifty Shades of Grey films, which James co-produced for Universal Pictures, realised more than $1 billion in global box office sales, with the latest movie, Fifty Shades Freed, winning the People’s Choice Award for Drama in 2018. The Mister will be published in the UK and Commonwealth by Arrow Books, an imprint of Cornerstone Publishing, part of The Random House Group Ltd, based in the UK. The Random House Group Ltd is a Penguin Random House Company. US publication will be with Vintage Books, a division of the Knopf Doubleday Publishing Group, which is a division of Penguin Random House, Inc. Vintage will also publish a Spanish-language edition in North America later in the spring of 2019. Foreign rights are sold by ILA London on behalf of Valerie Hoskins Associates. EL James is an incurable romantic and a self-confessed fangirl. After 25 years working in television, she decided to pursue a childhood dream and write stories that readers could take to their hearts. The result was the controversial and sensuous romance Fifty Shades of Grey and its two sequels, Fifty Shades Darker and Fifty Shades Freed. In 2015, she published the no. 1 bestseller Grey, the story of Fifty Shades of Grey from the perspective of Christian Grey, and in 2017, the chart-topping Darker, the second part of the Fifty Shades story from Christian’s point of view. Her books have been published in 48 languages and have sold more than 150 million copies worldwide. James has been recognised as one of Time magazine’s ‘Most Influential People in the World’ and Publishers Weekly’s ‘Person of the Year’. Fifty Shades of Grey stayed on the New York Times Best Seller List for 133 consecutive weeks. Fifty Shades Freed won the Goodreads Choice Award (2012), and Fifty Shades of Grey was selected as one of the 100 Great Reads, as voted by readers, in PBS’s The Great American Read (2018). Darker has been long-listed for the 2019 International DUBLIN Literary Award. James is blessed with two wonderful sons and lives with her husband, the novelist and screenwriter Niall Leonard, and their West Highland terriers in the leafy suburbs of West London.